Eve Kathleen Casey, 80 of Gilbert, Arizona passed away on September 10, 2018. 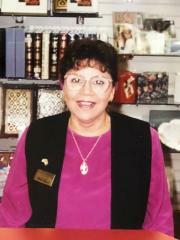 She was born on June 27, 1938 the daughter of Manuel and Marceline (Sedillos) Juarez in Whittier, California. She worked as a Social Worker in the Mental Health field and had lived in Arizona for the past 29 years. 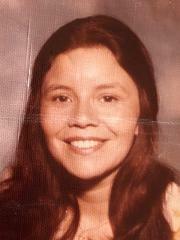 Left to cherish her memory are her five children, Veronica Brown, Bernadette Gonzales, Randy, Richard, and Joe Wegener, and ten grandchildren. A Celebration of Eve's life will be held on Friday, September 28, 2018 at 3:00 pm at Richardson Funeral Home, 2621 South Rural Road, Tempe, Arizona. Richardson Funeral Home, Tempe, Arizona is compassionately serving the family.